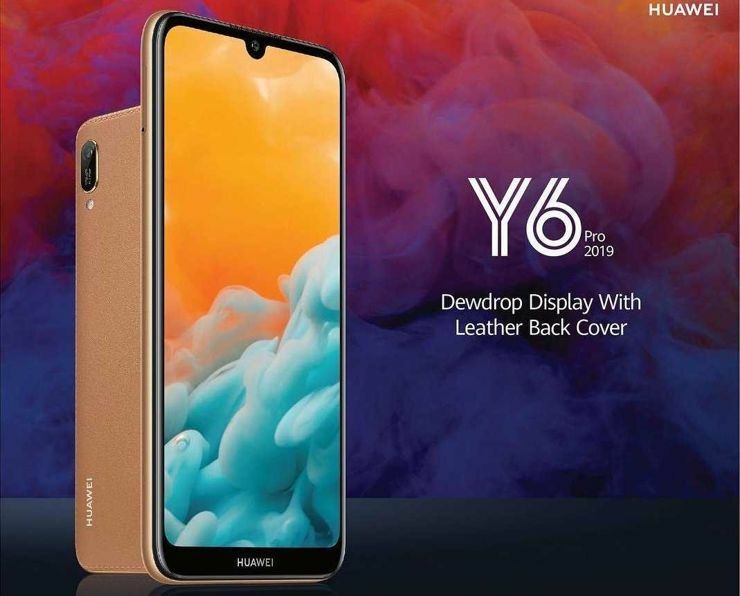 The leather finish is usually associated with top-shelf devices - and in the meantime, Huawei Y6 Pro 2019, which is rather an average phone - but has a leather back, debuts in Sri Lanka. It is true that we are not sure (and it's difficult to judge from the photos) that the back of Huawei Y6 Pro 2019 is finished with genuine leather - but even if it's an imitation, it's a nice change from glass or plastic. The phone looks elegant, although its inside cannot be classified as the highest class. It's just average. The smartphone has a 6.09" HD+ screen, equipped with a droplet notch, which has an 8-megapixel selfie camera. At the back, in turn, we have a 13-megapixel camera with a lens f/1.8, integrated into an elongated frame, which probably is to suggest that the camera is double. From a distance - one can be wrong. At the moment we do not know which processor is working inside Y6 Pro 2019 - but rather it will not be a top unit, if it is accompanied by a modest 3 GB of RAM and 32 GB of internal memory. Equipment is complemented by, among others face recognition, Dual SIM and a 3000 mAh battery - but there is no fingerprint reader. The smartphone works under the control of Android 9.0 Pie with the EMUI 9.0 interface overlay. The source states that the device is to be offered also in Egypt - but it hasn’t been mentioned about Europe yet. Source Gizmochina; viewed: 531 times. Oppo Realme C1 on its target market - in India - sells really well, so the manufacturer has subjected this model to rejuvenating treatment - and here we have Oppo Realme C1 2019. Samsung Galaxy S10 and S10+ on subsequent HQ renderings. There are prices! The popular Berlin leakster has published a series of high-quality graphics depicting Samsung Galaxy S10 and S10+.